Merck Animal Health (known as MSD Animal Health outside the United States and Canada) and the American Association of Bovine Practitioners (AABP) recently presented Sheila McGuirk, D.V.M., M.S., Ph.D., DACVIM, with the Mentor of the Year Award as a result of her commitment to mentoring the next generations of bovine veterinarians. Each year, the award is given out at the AABP Annual Conference to recognize an individual who has played a role in educating, supporting and advancing the careers of future bovine veterinarians. McGuirk retired in February 2016 after 33 years on the University of Wisconsin-Madison School of Veterinary Medicine (UW SVM) faculty. She is a key reason for the school’s international reputation for expertise in dairy cattle health, according to Ken Nordlund, emeritus clinical professor of food animal production medicine at UW SVM. McGuirk is known worldwide for her contributions to dairy calf health and bovine internal medicine. However, it is her caring and encouraging personality that made her such an effective mentor, according to Jennifer Rowntree, D.V.M., a technical services veterinarian for Vita Plus in Madison, Wisconsin. As a result of her dedication and service to the dairy industry, McGuirk has received countless other awards, including the Carl J. Norden Distinguished Teaching Award in 1990 and 1994 and the AABP Award of Excellence in 1998. 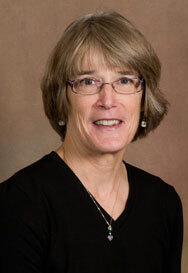 She was named Kansas State University’s Legend in Academic Medicine in 2010; Wisconsin Veterinary Medicine Veterinarian of the Year in 2000 and 2016; and World Dairy Expo Industry Person of the Year in 2012. McGuirk is an active member of numerous veterinary organizations, including AABP, and is the 12th recipient of the Mentor of the Year Award, which was instituted in 2007. She completed her Doctor of Veterinary Medicine (D.V.M.) degree from the University of Georgia in 1977. In 1981, she earned her master’s in clinical sciences from The Ohio State University, followed by a doctorate in physiology and pharmacology in 1985. She became American College of Veterinary Internal Medicine (ACVIM) board certified in 1982 and joined the faculty at the University of Wisconsin School of Veterinary Medicine in 1983.